Forget dragging your keys with you on every hike, run or ride. 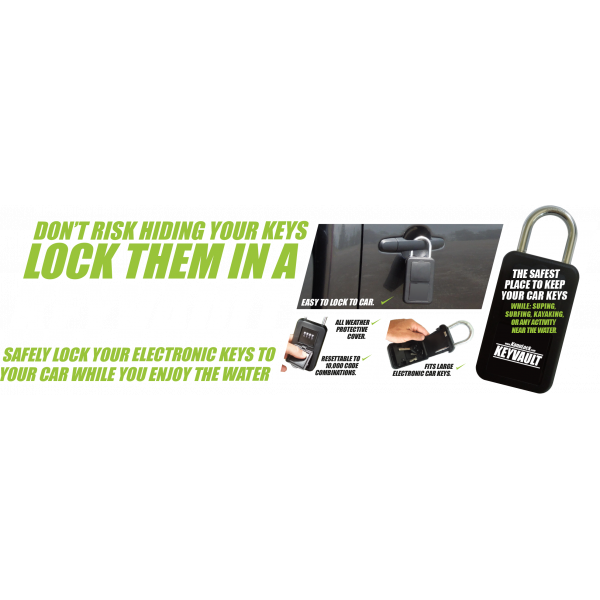 Leave your keys attached securely to your vehicle in the FK Keysafe. 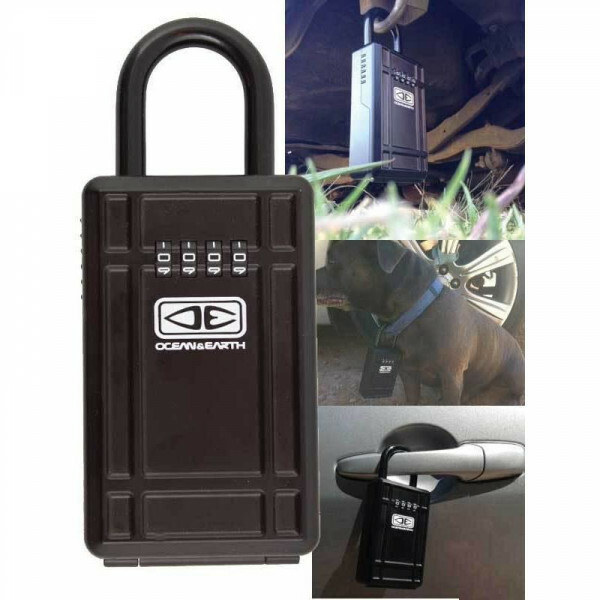 Perfect for anyone who wants to pack light, paddle, or get away without keys and personal items weighing them down.Do multiple friends need access to the car at an.. 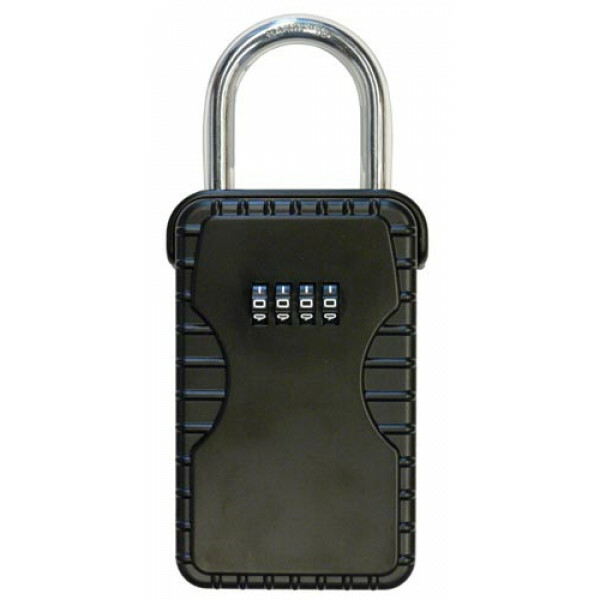 Secure large keys, credit cards, cash and jewellery with Maxi Lock.Maxi Lock is a durable, all-metal combination padlock that can be easily secured inside or outside around homes or offices, or to vehicles, caravans, boats, trucks and trailers. 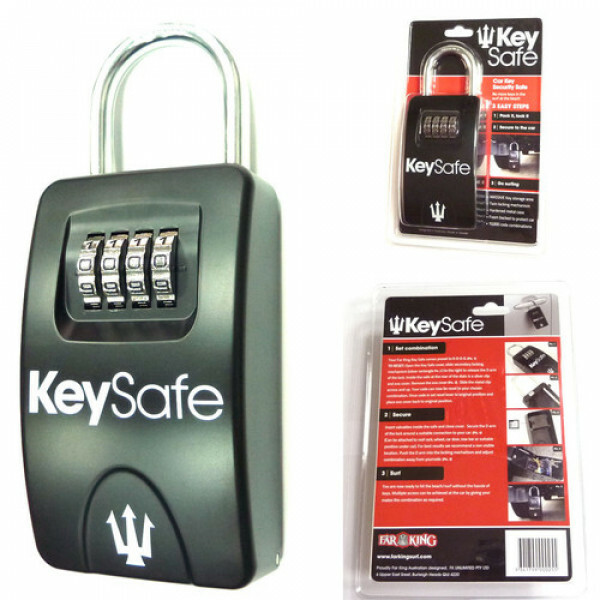 Maxi Lock works by a secret code to provide a safe and ..
Key Vault Car Key Security Safe • Ideal key storage while out for a surf• Dial code combination locking• Large key storage area• Fits most key types• Heavy duty toughened steel metal case• Waterproof.. 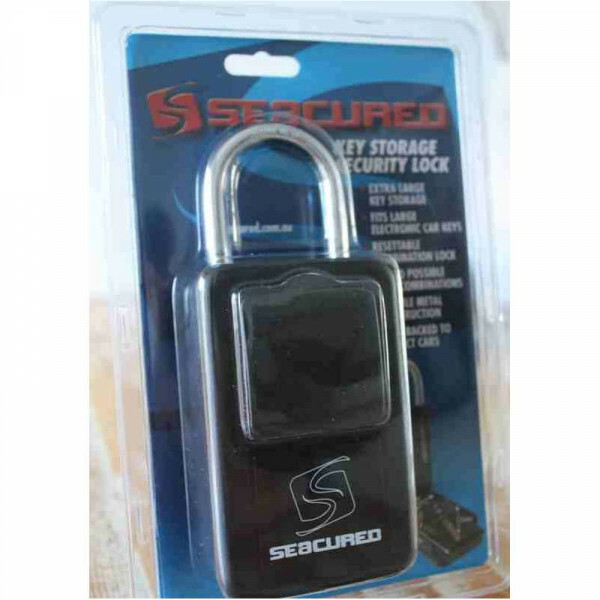 PROTECTIVE COVERPADDED BACK TO PROTECT CARRESETTABLE TO 10,000 CODE COMBINATIONS\HARDENED STEEL SHACKLE PLASTIC COATED TO PROTECT CAR\FITS LARGE ELECTRONIC CAR KEYS..